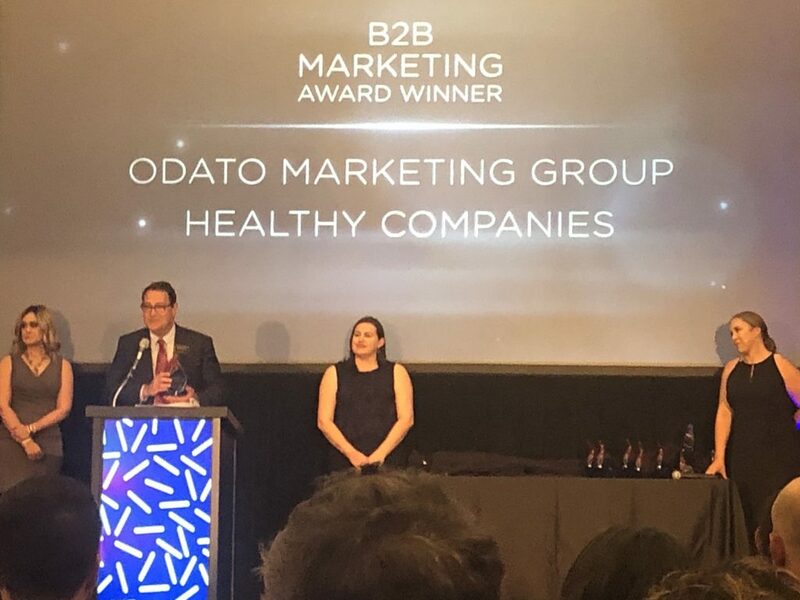 Odato Marketing Wins Marketer of the Year with Healthy Companies | Odato Marketing Group, Inc.
Odato Marketing Group and Healthy Companies International won the results-based 2018 B2B Marketer of the Year award presented by the American Marketing Association, Tampa Bay Chapter. 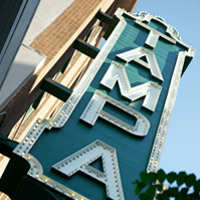 The AMA presented the award at a ceremony held at the University of Tampa on March 28, 2019. This is the 10th Marketer of the Year award for Odato Marketing’s Tampa Bay- and Pittsburgh-based team. 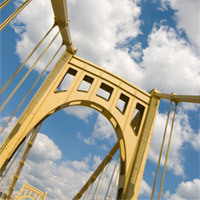 Prior entries have won recognition in the Education, Technology, Manufacturing, Retail, Consumer and Content Marketing categories, as well as Pittsburgh’s 2013 Grand Marketer of the Year. 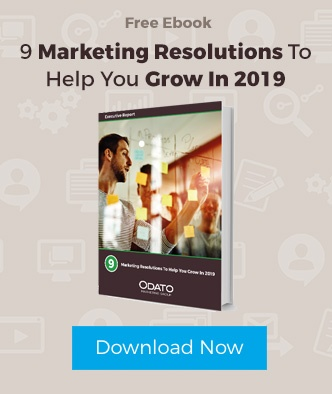 Healthy Companies engaged Odato Marketing to help build awareness of its Grounded & Conscious leadership development offerings, particularly among Chief Learning Officers, Chief Human Resources Officers and other enterprise-level executives. The agency and client worked together to convert the company’s insights–as presented in 8 books by Healthy Companies founder, Bob Rosen–into a robust digital and social program combining inbound marketing and account-based marketing principles. The program also included a redesign of the brand standards, website, and sales materials, as well as white papers, extensive video content, HubSpot implementation and SalesForce integration. 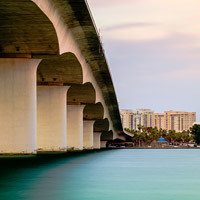 The agency also built upon the momentum of Rosen’s recent publication of “Conscious: The Power of Awareness in Business and Life” with video content, digital ads and social promotion. Highlights of the campaign results include a 728% increase in social engagement, organic website traffic up 194%, 66.2% increase in email engagement, an increase in speaking engagements and millions of targeted digital impressions. Most important, Healthy Companies has earned opportunities to work with some of America’s greatest companies. Marketer of the Year is the region’s premier, results-based awards competition. An out-of-state committee of marketing experts judges the entries, and the local chapter awards trophies in various categories. This year’s event also honored the Tampa Bay Buccaneers as Grand Marketer of the Year and Tampa International Airport as Marketing Hall of Fame inductee.